Who will your allegiance go to? Since its release in 2012, this epic FPS game never ceases to amaze. 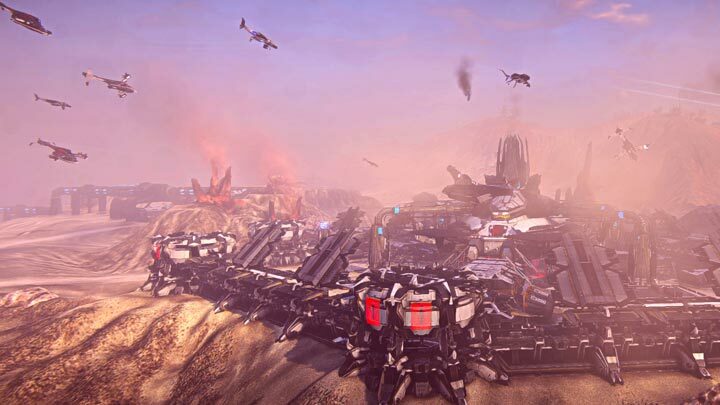 Taking place on an imaginary planet called Auraxis and featuring a struggle between three factions locked into an epic territorial battle, the world PlanetSide 2 is beautiful and feels alive — even though there is nothing but conflict wherever you go. Aerial assault on an enemy base. 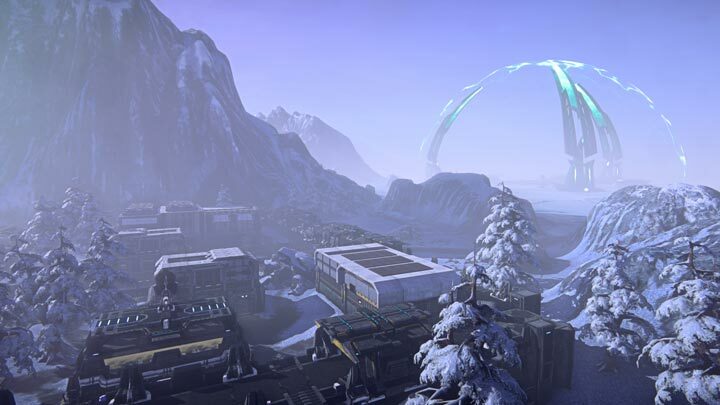 If there is one thing that one has to mention about PlanetSide 2, it would be the epicness of the whole thing. Unlike most FPS games, where players compete in small lobbies that host a small amount of people, a few dozens at most, fights in PlanetSide 2 take place in an open world, broken down in several huge continents. That's right — entire continents where three empires wage war against each other, with thousands of players clashing in epic battles on land and in the air, supported by ground and air vehicles. Each continent is divided into capturable territories, which in turn provide bonuses to the faction that currently owns them. Just taking a pic of the sunset guys, we'll be back to killing each other in a second. As an Auraxian, you may join one of the three political powers that wage war for control over the planet. These factions are not only cosmetic: each features unique weaponry, vehicles and has its own strengths and weaknesses. The Terran Republic is conservative and authoritarian. The oldest faction of the three, they seek to unite all others under their banners and usher a new era of peace. 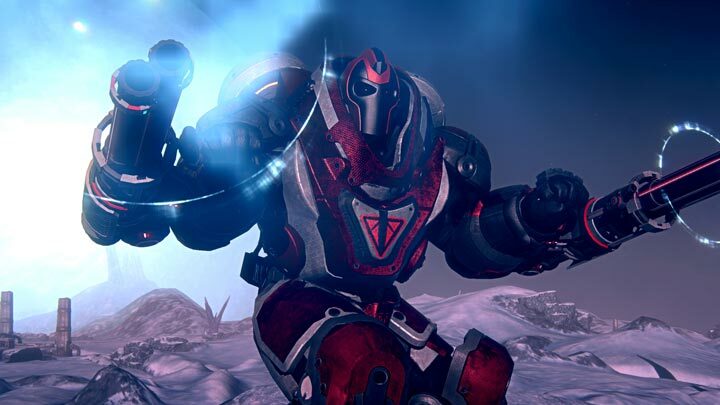 The Terran Republic technology sacrifices raw power for high rates of fire, accuracy and mobility. Their gameplay is a little more fast-paced than that of other factions. The New Conglomerate holds freedom and independence as some of the biggest virtues humanity possesses. They fight against the Terran Republic's infringement of human rights and the Vanu Sovereignty's attempts to engineer the human race into something they are not. The New Conglomerate technology puts an emphasis on raw power: what they lack in accuracy and reload rate, their weapons more than make up with sheer stopping force. The Vanu Sovereignty derives their name from the alien race known as Vanu, whose artifacts have been discovered on Auraxis. They feel that research on this alien technology and genetic modification of human beings is the key to the future. They use laser and plasma weapons that do not have bullet drop, and their vehicles use anti-gravity technology that allows them to strafe left and right and drive over bodies of water. Alright, this is not strictly gameplay, but the soundtrack in PlanetSide 2 deserves a mention. Not only is it simply great, but each empire has its own theme songs, which play when you march to war or relax near a lake. Music only adds to each empire's unique feel. 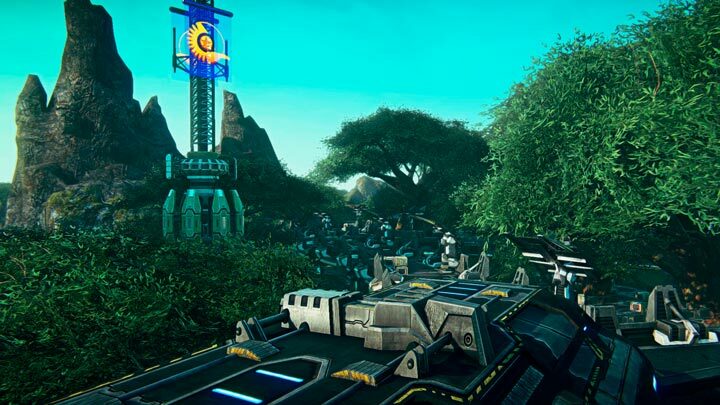 Terran Republic soundtrack is very orchestral and epic, while New Conglomerate soldiers like to listen to rock tunes and, fittingly, Vanu Sovereignty troops advance is accompanied by futuristic-sounding electronic compositions. Don Ferrone, the composer for the original PlanetSide, was joined by Jeff Broadbent to produce the epic music in this second installment. Due to the scale of PlanetSide 2's open world, vehicles play an important part in any conflict. Fast personal vehicles and transports allow players to quickly get from one point of the map to another, and one such vehicle even acts as a respawn point. Light assault vehicles are fast, hit-and-run types. They're designed to allow players to get about quickly, providing fast response to emergency situations. Heavy assault vehicles sacrifice speed to improve durability and firepower. They're less used for transportation and more like the tanks they are. Heavily armored and often equipped with one or several turrets, they require not only a driver but also a gunner or two to reach their full potential. Most vehicles come from a common pool available to every empire; however, a select few are faction-exclusive. They're tied to controllable key points; not all vehicles can be built everywhere, and you'll need to control the main research facilities and plants to be able to drive the biggest and baddest tank available. They won't see me coming. Aerial vehicles provide essential support to the ground troops. They can act as means of transportation, but can also become a serious threat. They require practice to be used effectively, but at the hands of a skilled pilot, a flier is fast and hard to hit. The Galaxy, the biggest vehicle in game, is also a flying unit, and aptly named at that: this flying fortress can transport dozens of soldiers, has more health and is more heavily armored than anything else on Auraxis. When you're tired of ground combat, flying provides a nice change of pace, and engaging in dogfights with enemy pilots brings out that Ace Combat feel. 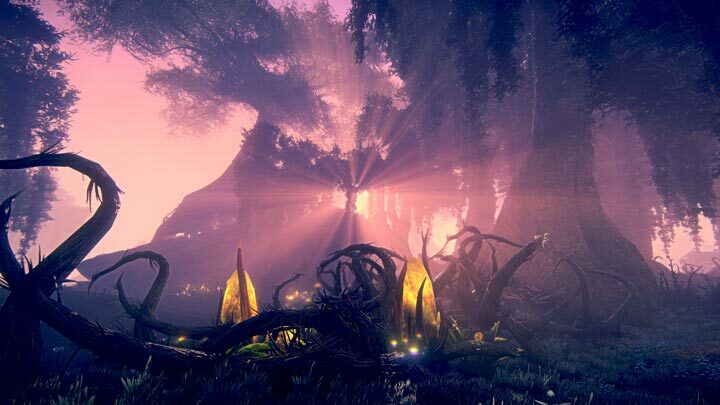 There are several continents in Auraxis, each with a different ecosystem, temperature and overall landscape. 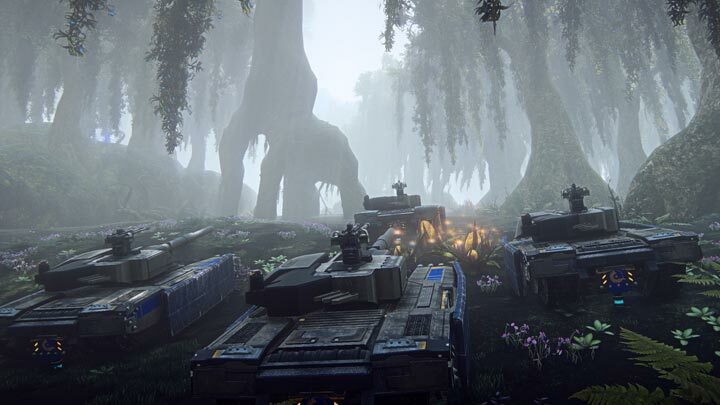 If you're sick of fighting in the swamps of Hossin, maybe the icy tundra of Esamir will prove more to your liking, and the lush forests of Amerish are in stark contrast with Indar's wastelands. Each continent's topography favors a specific kind of combat. For instance, the uneven terrain of Amerish may force ground troops to take roundabout routes to their destination, and so transportation by air is preferred. Indar features a labyrinth of canyons, which makes vehicle combat impractical and causes the vehicles themselves to be prone to infantry ambushes. We'll take it... one day. 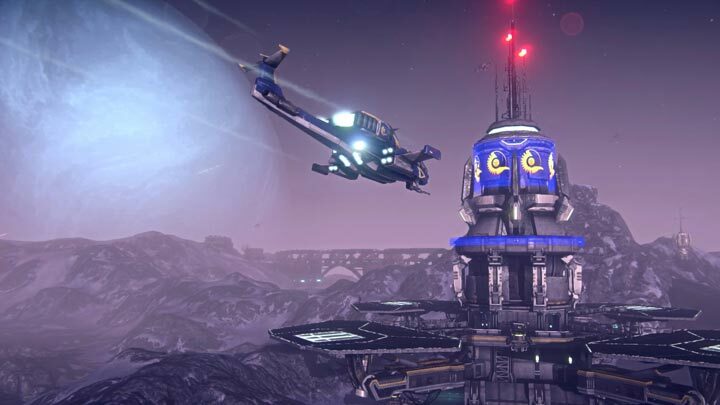 The Crown is probably one of PlanetSide 2's most infamous key locations. Located in the heart of Indar, this outpost's central location and natural defenses make it a highly contested territory, prone to long (and epic) siege battles. Yet the Crown is but one name on the long list of key points your faction wants to conquer to ultimately win control over a continent. There are several facilities that, when captured, provide benefits to all soldiers of the owning empire present on the continent. Taking control of a Bio-Lab will grant health regeneration to soldiers. As health does not replenish naturally without a combat medic's assistance, this is an advantage you don't want to lose. Tech Plants are facilities that allow you to spawn the biggest air and land vehicles. Controlling a Tech Plant is essential to turn the battle to your advantage. Amp Stations are defensive structures. Controlling an Amp Station increases the length of fire of the turrets belonging to your empire. Capturing all key points on a continent grants an empire-wide bonus to the controlling faction. For example, holding Amerish gives you a rebate when building air vehicles. Think I arrived right in the thick of it. 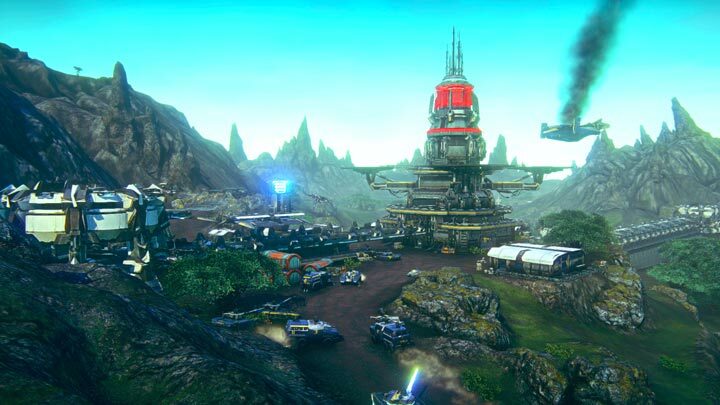 The sheer scale of PlanetSide 2's world can feel overwhelming, especially to new players. There is not always a clear sense of direction, where to go or what to do. Fortunately, there are missions. When needed, the game asks you if you want to be redeployed on one of the current hotspots. You receive missions for either attacking an enemy facility, or defending your own faction's prised possessions. Missions are automatically generated by the game based on your proximity to battlefronts. You also automatically receive your squad leader's mission if you join one, and will receive an experience bonus for staying close to your fellow squad members and accomplishing the objective together. A good thing about PlanetSide 2 is that, unlike a lot of other shooters where you aer at a physical disadvantage against older players with better gear, you can jump into action right after creating your character and be efficient at what you do. Sure, the game features an unlock system where you spend certification points on gear and vehicles. However, almost nothing you can unlock is a straight-up upgrade to your stock equipment. Most of it are sidegrades. All the classes are available from the start (more on that below) and while every class has access to several different weapons, your starter gun is just as good as any of them. All the unlockable equipment offers is fine-tuning. Want better rate of fire? Then, this gun is for you, but it has increased recoil or reduced accuracy to compensate. The game requires minimal certification grind in the beginning as you're unlocking essentials that you do not start with, like grenades or the medic's medical applicator device. However, it does not take a long time at all, and once you got them, you're good to go. Terminals allow you to change your class on the fly. 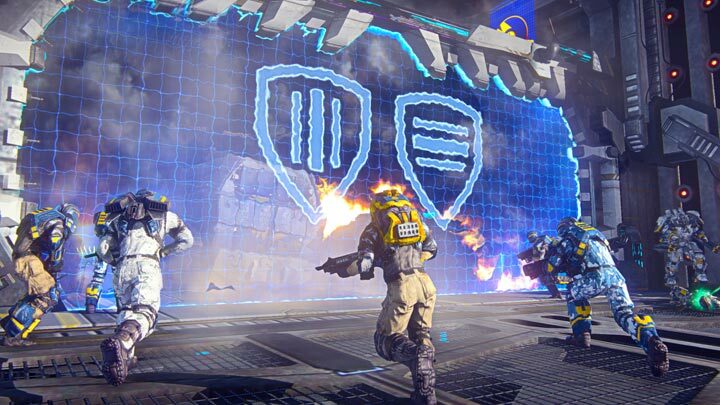 PlanetSide 2 uses a class system. Your progression, weapons and abilities are tied to your class and are unlocked by spending certification points, which you earn as you play and participate in battles. Classes aren't exactly unique, but they all have a distinct gameplay. Each class is useful in specific situations, and what's better is that your character isn't bound to a class forever! Is your squad in need of a medic or an engineer? Go to an equipment terminal and make the switch. There is even a pseudo-mecha class for those who like piloting giant (well, human-sized in this case) robots. The MAX is a heavily armored soldier who can equip one weapon on each arm, its impenetrable plated armor allowing them to withstand a great deal of punishment before they need to be repaired. You have access to every class right from the start, although not all of them start completely equipped. The tutorial, if you choose to play through it, makes you play with several classes and pick the one you like while also rewarding you with some starter goodies that allow you to compensate for this. 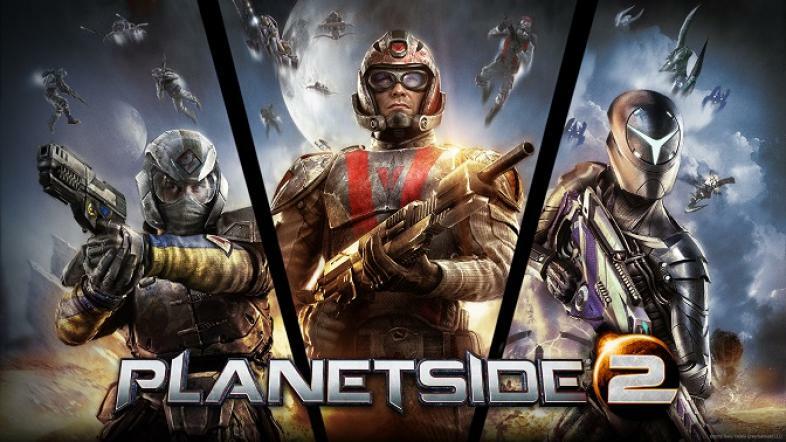 Want to know more about PlanetSide 2? 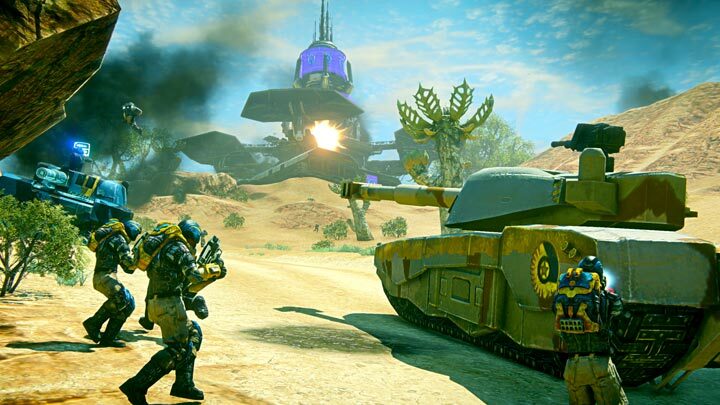 Read our review of PlanetSide 2 Gameplay: 10 Things You'll Love. If you're the kind of person who just can't get enough of first-person shooter games, then our article on the 10 Best First-Person Shooter Games To Play in 2015 is for you.